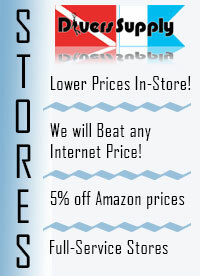 For Discounted Snorkeling Gear you have come to the right place! Divers Supply offers a large selection of snorkeling gear with everything you need for the entire family to enjoy a snorkeling adventure. Whether you are looking for a new snorkeling mask or an entire snorkeling package we have all the snorkeling equipment to meet your needs. Buy your discounted snorkeling gear today! Snorkeling is a very popular sport for the young and old alike. Masks, snorkels, and fins provide comfort and freedom to swim and dive like a fish. But you must learn the use of each to achieve full enjoyment. Each item has an important function of its own. It should be emphasized that in any sport, the broader your knowledge and understanding, the better. It is strongly advised that you practice first in shallow water or a pool to get used to the equipment and gain confidence. Snorkeling is a wonderful activity that can be enjoyed by almost anyone. Basic snorkeling gear, along with a body of water and an hour of time is all that anyone needs to become a snorkeler. If you haven't already, give it a try - you'll love the new world beneath the water! Snorkel: Look for a snorkels with a purge valve and splash guard. A purge is helpful in clearing the water out of the snorkel and the splash guard minimizes water entry while at the surface. Desirable features: Silicone, Purge valve, Splash guard and/or Dry top. Snorkeling Vest: Great for resting at the surface. Floats you at the surface for safety and keeps you from damaging the delicate coral reefs. Lycra Protection: Snorkelers should be protected against contact from marine life and even provide additional protection from harmful U.V. rays. Snorkeling Bags: Keep it together with a snorkeling bag. It keeps your snorkel gear in one place and makes it easy to carry and clean after use. Snorkeling Travel Needs: Make your trip safer and easier with these last minute items. After purchasing a new mask and for maintaining the quality of your mask, prepare a diluted solution of neutral, mild soap to wash the inside of the masks lens. If this is not done, the mask surface could easily become foggy. After the lens has been washed with the soap solution,thoroughly rinse away all soap from the mask surface with water.Use of an petroleum based or strong soap can cause the frame to deteriorate. Your mask, fins and snorkel should be rinsed thoroughly with clean water after each use. Store them in a cool place with no exposure to the sun for longer life. The sea is for everyone to enjoy. But there are some regulations. Please acquaint yourself with local regulations. While we are all able to enjoy marine sports, remember that not only the fishermen’s rights should be protected, but also nature. Let us all contribute to keep the sea clean and clear. Dispose of litter properly. You must be a competent swimmer before attempting snorkeling. Do not snorkel alone. Always have company. Do not snorkel in high waves or rapid currents. Snorkeling Gear Cost Less at Divers Supply. It's always easy to shop for Snorkeling Gear at Divers Supply. We have the best prices on Snorkeling Gear at Divers supply.